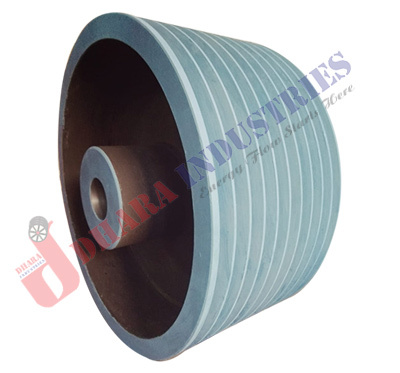 Dhara Industries a manufacturer, supplier and exporter of V-Belt Pulley, one of the rapidly growing industry well known for providing best quality V-Belt Pulley at most cost effective price. V Belt Pulley which is also known as Vee Belt Sheaves, are devices that are used in transmitting power between axles by using V-Belt. 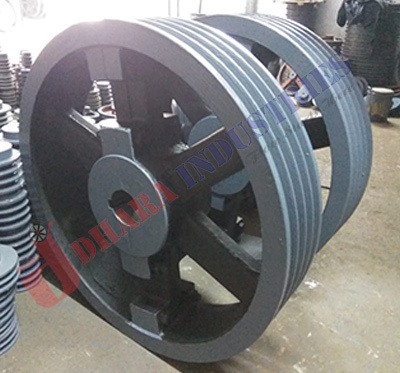 The different types of V Belt manufactured by us are V Groove Pulley, Cast Iron V Belt Pulley, Double V Belt Pulley and Single Groove V Belt Pulley. Keeping in mind the quality norms and standards, premium quality raw material and latest machineries are used in manufacturing. 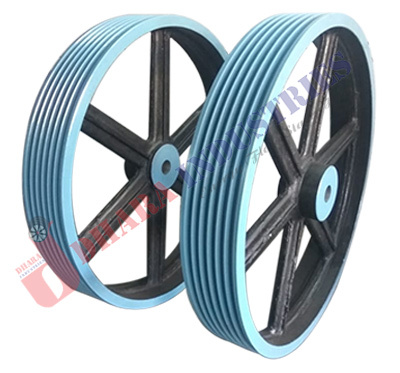 This V Belt Pulleys are designed under the guidance of our experienced professionals through which we are able to provide our customers with products which are easy to install, highly durable, flexible, corrosion proof and dimensionally accurate. 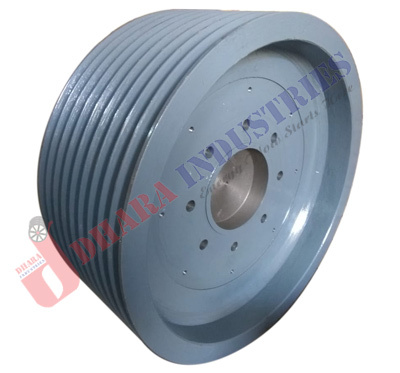 Our V Belt Pulleys are widely used in automobile industries and also in cranes, lifts, conveyors and many other industries. 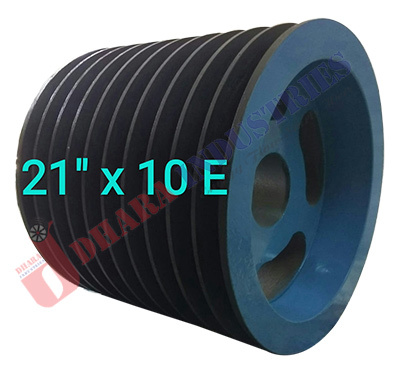 We supply a wide range of V-Belt Pulley in all over India and V Belt Pulley Export in Bangladesh, Indonesia, China, Japan, Kuwait, Oman, Russia, Saudi Arabia, Turkey, Kenya, South Africa, Austria and United Arab Emirates (UAE).